Benefiting from over 20 years of cutting edge development and manufacture, Andor’s comprehensive range of high energy camera detection systems addresses a wide variety of imaging and spectroscopy applications from cell structure studies and medical research to material analysis. Andor’s high energy detection platforms are built to last and are engineered from the outset with ease of use in mind; every system is developed to integrate quickly and directly into the heart of the experimental setup. Andor also offers expertise in bespoke customization to arrive at novel detection solutions to your specific experimental requirements. Andor employs the notation ‘S’ to indicate cameras that are optimal for detection of ‘soft’ lower energy photons. With direct detection, the incident VUV to soft X-ray photon is absorbed directly within the silicon of the sensor resulting in the production of multiple electron-hole pairs. 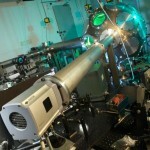 This method of detection limits the range of usage of the sensor to photon energies that silicon can absorb directly. The design and architecture of the sensor and camera directly affect the detection range. Therefore an uncoated back-illuminated sensor will allow low energy photons to pass into the depletion zone to be absorbed, while a deep depletion device allows higher energy photons to be absorbed by the increased depth of active silicon..
Andor employs the notation ‘H’ to indicate cameras that are optimal for detection of ‘hard’ higher energy photons. Indirect detection employs a material, such as a scintillator or phosphor, to convert incident high energy X-ray or gamma photons to photons of visible wavelength, which are then detected directly by the sensor. A fiber-optic can be used to couple the scintillator to the camera. This can bear several advantages including protection of the sensor from damage by the higher energy photons, improving the camera’s spatial resolution and, with tapers, provide the ability to extend the detection field of view beyond that defined by the sensor active area. 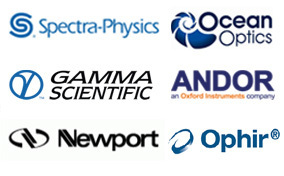 Andor has a comprehensive portfolio of imaging and spectroscopic camera platforms developed for use in a wide range of high energy applications. 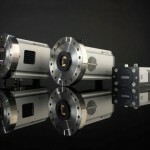 To suit these many different requirements it is often necessary to modify the camera’s interface to allow optimal integration with the sampling environment. In this section we will explain Andor’s dedicated range of interface types and their associated identifiers: O, X, Y and F. The interface identifier is then combined with either the ‘S’ or ‘H’ identifier. 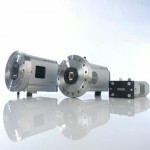 Together these then fully define both the energy range and sampling environment that the camera solution is suited to. 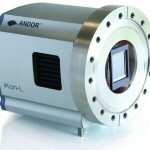 Andor’s ’O’ interface type describes an open front design, coupling directly onto a vacuum chamber’s port, ensuring maximum detection efficiency and spatial resolution. ‘Open front’ cameras are designed to be coupled to the outside of a vacuum chamber. There are two types of sealing options available: knife edge and O-ring seal. The design allows use of a removable filter holder. The system interface allows the camera to be cooled either by air or water. Mounting flange options can be supplied for all standards, including rotatable where applicable. 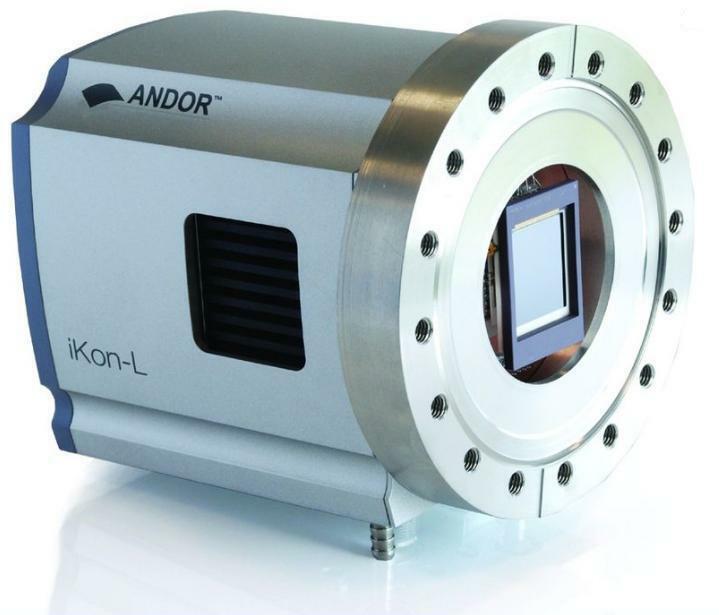 Andor’s ‘Y’ style interface is available across the iKon and Newton CCD camera platforms, and is built with a window that blocks visible wavelengths but allows higher energy photons through to the sensor. It is ideal for direct detection in the soft X-ray energy range or, with inclusion of a phosphor coated fiber-optic, indirect detection of hard X-ray photons. 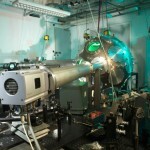 The ‘Stand Alone’ design indicates that it is constructed to operate outside a vacuum chamber. The standard window used is made from Beryllium although other materials can be used, for example Aluminium. This interface type can be combined with both direct and indirect detection. ‘Y’ cameras are available for direct detection applications with a range of sensor QE options, or for indirect detection applications with a phosphor coated fiber-optic positioned over the CCD sensor. For optimal indirect detection, the energy range required will dictate the selection of phosphors or scintillators. The standard CCD sensor enclosure is backfilled with Argon, however other options ranging from pumpable to vacuum are available on request. 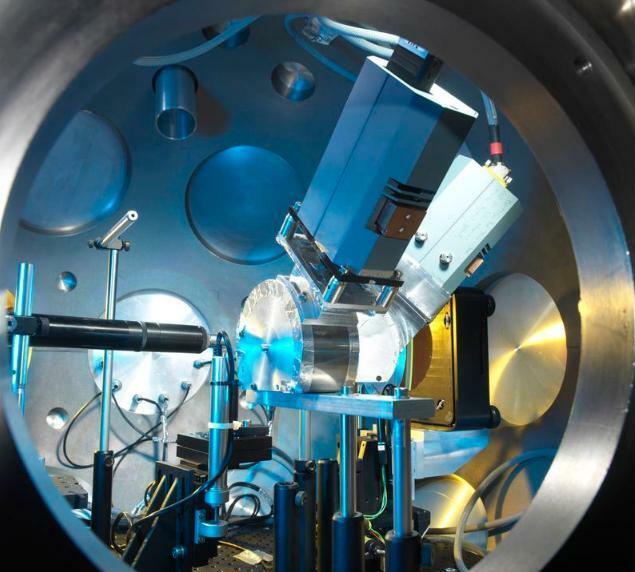 Andor’s ‘In Vacuum’ systems have no input window and are designed to be positioned inside a vacuum chamber, offering direct detection sensitivity from VUV to soft X-ray. The entire camera, including casing and electronics, are completely vacuum compatible. The camera is connected to the controlling PC, outside of the chamber, via a shielded detector cable. The cable supplies both power and data handling between the camera and the PCI card placed in the PC. This shielded link allows the camera to operate in harsh or noisy environments. 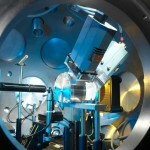 Andor’s ‘In Vacuum’ solutions may be passively cooled inside the vacuum chamber. 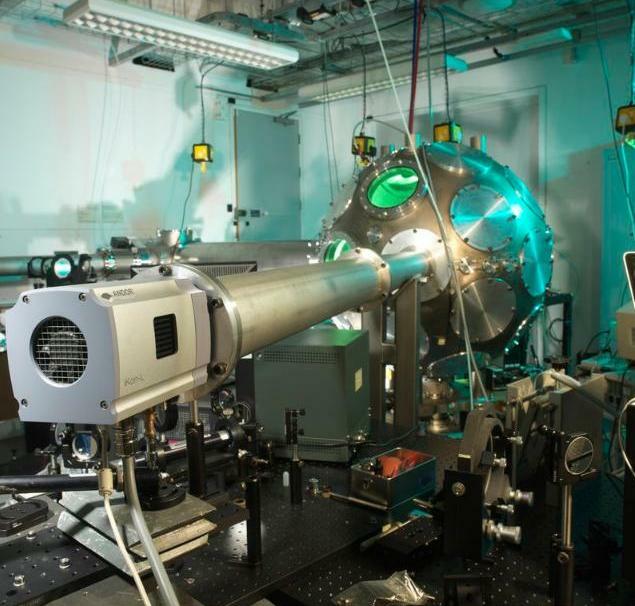 To facilitate this, a copper block on the side of the camera head can be coupled to other objects within the vacuum chamber. The cooling performance of the camera will depend on both the vacuum achieved in the chamber and the removal of the heat load from the camera. The ‘X’ cameras also offer a removable filter holder with an integrated pumping channel. 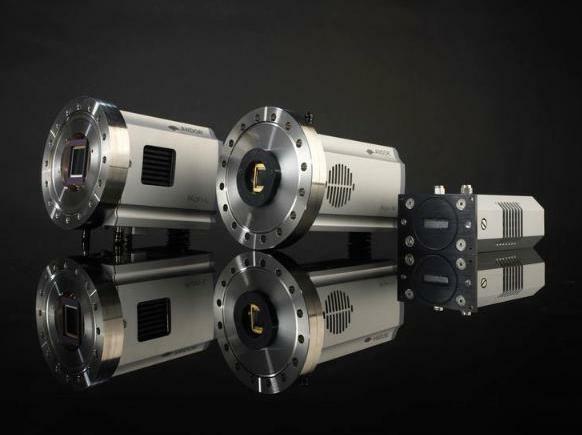 A number of Andor’s camera platforms can be configured with the ‘F’ type protruding fiber-optic interface, ideal for indirect detection of high energy X-ray or gamma photons that are incident on a phosphor or scintillator. A fiber-optic interface can be coupled to either front-illuminated or backilluminate sensors. A range of phosphor and scintillator options are available, specifically selected to match your required energy range. The fiber-optic interface is available not just for CCD detectors (e.g. 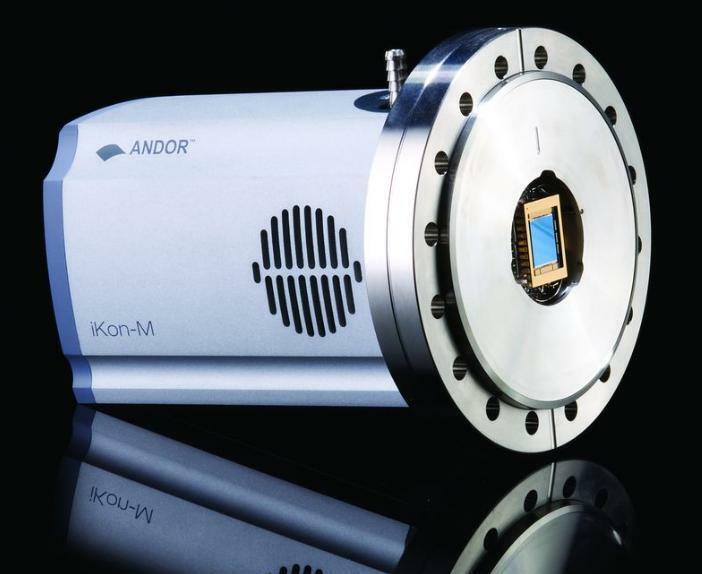 the iKon platform), but also on Electron Multiplying CCD (EMCCD) sensor technology, via Andor’s highperformance iXon camera. 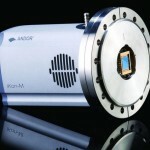 Andor’s back-illuminated iXon offers single photon sensitivity and high Quantum Efficiency (QE) at fast frame rates and, when fiber coupled, is suited to applications such as X-ray tomography. This is particularly relevant where photon loss through a fiber-optic taper is involved. At Andor we realise that, sometimes, even our adaptable and flexible off the shelf products are not enough to meet some of the more demanding application requirements of our customers. For this reason we provide a bespoke service to our customers, whereby a dedicated highly experienced team of engineers and application specialists provide customer specific solutions. The process involves discussing your core requirements, advising on possible solutions, design development, quotation and final delivery of the product. The CSR service is it at the heart of the Andor ethos of offering high performance, high quality products and solution developments for each and every customer. 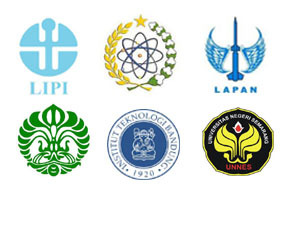 Our extensive capabilities, married to our flexible and adaptable approach, is very complementary to the specific needs that often arise in the sphere of X-ray and high energy detection.